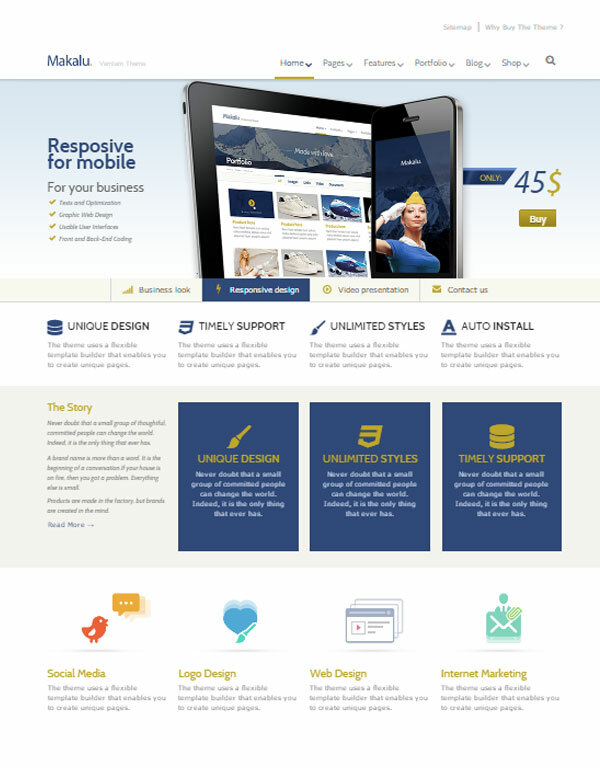 Makalu is a responsive business and portfolio theme . It is suitable for users with zero programming skills as well as advanced developers. It is suitable for any kind of websites – environmental, law, agency, hosting, nonprofit, gym, medical, parallax, one page, corporate, spa and shop. Option to enable or disable responsiveness.